I just wanted to let you know how happy we were with your performance…the guests LOVED you! They left saying your dance was the BEST part of the evening! Thank you so much!!! With the sparkle of luxurious costuming, the swirling colors of silk veils, uplifting music and the ring of finger cymbals, bellydance is perfect to enliven any occasion. An accomplished performer known for spirited and elegant performances, Mariyah brings unforgettable entertainment to each event. Whether you are planning an intimate party, a wedding or an extravagant gala affair, Mariyah can help you plan the perfect entertainment. Specialties include the skillful playing of finger cymbals, extravagant wings, colorful veils or fans, sword or candle tray balancing, feather fans and traditional assaya (cane) or Shamadan (candlelabra). Infinity Bellydance can be booked for a group performance with some of NYC’s top bellydancers! Live Drumming is also an exciting addition to any show! Mariyah Belly Dancer NYC, NJ, CT – from Mariyah Sublime Bellydance on Vimeo. A full classic belly dance routine for family parties, birthdays and other festive occasions! The dancer will make an entrance with veil and finger cymbals or spectacular wings and perform a specialty piece with sword, candles or cane. This show will also include extra time for audience participation and an exciting drum solo finale before the dancer’s exit.This show can be up to 30 minutes depending on the event. The most popular show length is 15-25 minutes. Can be booked as a solo, duet or group show! Mariyah is happy work with you, your wedding planner and dj to arrange all of the details for the perfect show for your reception! Attention is given to the needs of a large scale event and extra time is allotted on the performance day to allow for delays. A zeffa (traditional wedding procession) can also be arranged in addition to the performance). 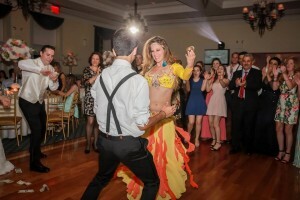 Hire a group of two or more dancers to perform at your event! This entertainment package may include a variety of group and solo numbers as well as plenty of time for audience participation and open dancing. 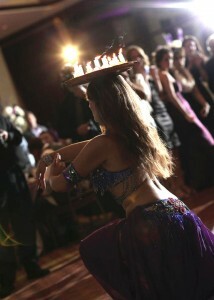 Mariyah will provide beautiful, top NYC performers for your event. Group performances may vary in length from 15 – 45 minutes. Rates vary. Add an unforgettable energy to your event by booking a live drummer to play during the bellydance show! A drummer can be booked for either group or solo shows and is highly recommended for all performances. Experience the full beauty of bellydance with live drumming. Full band can be booked as well. Experience the essence of this beautiful art form with beautiful live Arabic or Turkish music and exquisite dancing. *Artists that may be booked in addition to a bellydance performance include: henna artist, live drummer, tarot/palm reader, male belly dancer, bollywood dancer, samba dancer and more. *Mariyah and the Infinity Bellydance Group are available for performances in New York (NY, NYC), New Jersey (NJ), Long Island and Connecticut (CT), as well as across the US and abroad. Read some of the wonderful endorsements & testimonials by Mariyah’s clients! Have More Questions About Hiring Mariyah?